Les Puces flea market in Paris is the largest of its kind in the world and is brimming with vintage and antique treasures. Prepare for your trip with our handy tips on tackling this monumental market. 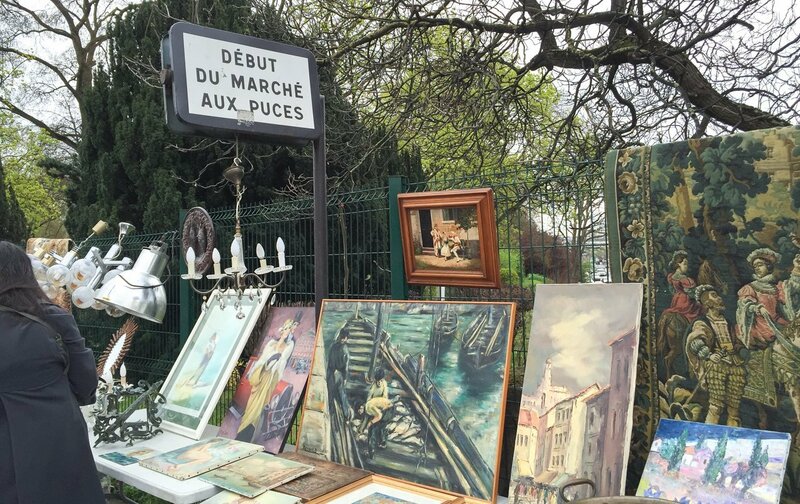 The most famous flea market in Paris is the one at Porte de Clignancourt, officially called Les Puces de Saint-Ouen, but known to everyone as Les Puces (The Fleas). It covers seven hectares and is the largest antique market in the world, receiving between 120,000 to 180,000 visitors each weekend. If you get there early, plan on having a leisurely Café Crème and watching the antiques world start up for the day. If you're a serious shopper, watch out as it becomes very crowded after lunch! We strongly recommend visiting the Puces on Saturday or Sunday because many dealers aren't open on Monday, or only open by appointment. If you can only shop on Monday, plan to arrive in the morning when you stand a better chance of dealers being open, and take an expert with you! You can request a private guide for your treasure hunting here. Important Note: Be careful to hide wallets and purses; as in any city, big crowds are a great place for pickpockets to quite literally ‘pick up’ work - and the Flea Market is no exception. Our advice to all Paris Perfect guests is to use a fanny pack for cards, cash, passes and tickets and to leave passports in our apartment safes. We still hear the occasional tale of woe about lost belongings. Do be careful and before you travel, take a look at our FAQs for any other similar advice and information. Book yourself onto our Flea Market Guided Tour and get led directly into the heart of the labyrinth that is this enormous market. To get there by metro, head to Porte de Clignancourt on Line 4 and follow the crowds towards the large concrete overpass. If you are looking for antiques, don't waste too much time looking through the clothing, African objects and household goods on streets along the way. The market and neighborhood is very colorful and you will love the diversity of personalities, stall keepers and products for sale! The 18th arrondissement, where the Puces are located, is in a less affluent part of Paris and the market gets very crowded. As mentioned above, you want to watch your wallets and you can safely stroll around here during the day. Rue des Rosiers is the main street which you walk down in order to go into the separate markets. The individual markets tend to run into each other, and even after our shopping there for 20 years, it is still not obvious where some stop and others begin! There is a useful map at: http://www.tourisme-plainecommune-paris.com/sites/saint-denis-tourisme/files/content/files/guide_du_marche_aux_puces_.pdf. It also contains a good directory of dealers and information.. Along Rue des Rosiers, there are several interesting shops, selling Art Deco furniture, fireplaces, mirrors and 'interesting decorative furniture'.Madelyn has bought mirrors and some furniture at the second mirror dealer on the right, which offers a great selection at very reasonable prices. Much further down on the left, before Serpette, is a shop that sells interesting decorative pieces, paintings, garden pieces, etc, and is well worth having a good look around. Find Marché Vernaison, 99 Rue des Rosiers, and the smaller Marché Antica first on your right. Vernaison is a wonderful, winding market where you can find anything from furniture to beads, to missing parts from antique commodes, textiles, paintings, antique toys etc. It feels enormous and you can get lost wandering down the alleyways. If you’re looking for paintings and smaller objects, this is often the place to go. You will find economically priced country-style furniture here, as well as gems such as beautiful linens, paintings and decorative objects. Marché Antica, 99 Rue des Rosiers, has a few dealers, a good Art Deco stand, several stands selling paintings and porcelain and a larger one that sells Chinese furniture. Marché Biron, 85 Rue des Rosiers, is next on your right. There are two sides to the market. On the left side, you can find hundreds of nice pieces of wood furniture, most in a country style. They are not always the cheapest stalls, but the selection is vast. The right side of Biron has more gilded Louis XV and Louis XVI, Empire-style furniture. Marché Cambo, 75 Rue des Rosiers, is a market with approximately 20 dealers and many of them eat together outside one of the stalls at lunch.It’s a little harder to find as it looks like a warehouse, so watch for the sign after Marche Biron. 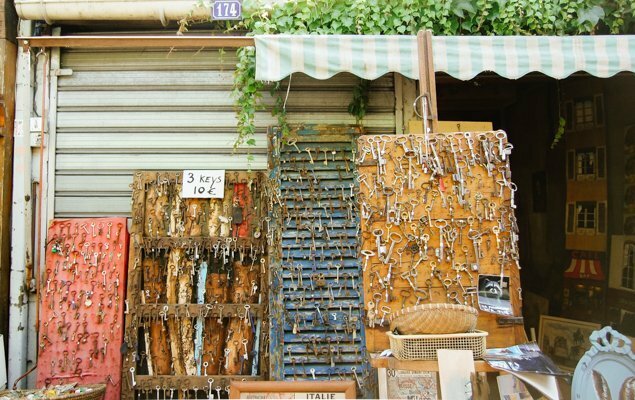 Starting on the left from the the top of Rue des Rosiers, find Marché Malassis, 142 Rue des Rosiers, selling furniture and objects from the 18th and 19th centuries, as well as silver, Asian and archeological pieces. There are beautiful objects here, but be sure to save your energy for Serpette and Biron which are further on. Marché Dauphine, 140 Rue des Rosiers, is next on your left and it is the newest, most eclectic market. 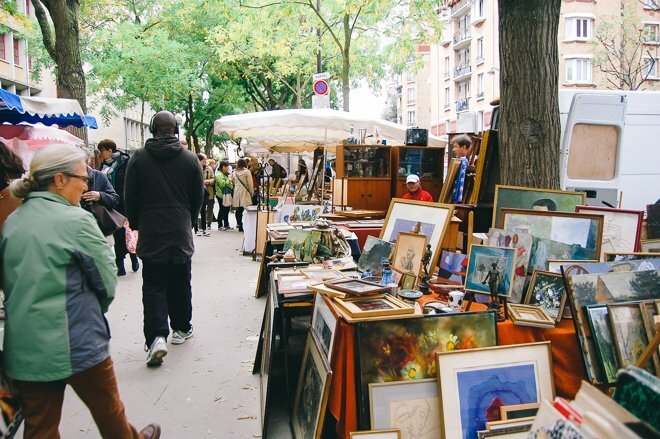 Here, you will find everything from rare antiques, to decorative furniture pieces, to books, prints, funky art and vintage clothing, to rugs and garden pots.A Paris Perfect favourite area consists of two dealers on the far right alley, as you face the Marché Dauphine. These few shops have some quality antiques and also some nice decorative pieces. These two offer an enormous selection of furniture, prints, paintings, mirrors, antique luggage, vintage clothing, hardware, art deco furniture and hardware, kitchen goods, etc. We have a few favorite dealers, and have bought mirrors, dressers, armchairs, prints, footstools, tables, soap dishes, antique hooks and more from this dealer. Bill Gates is even known to have shopped for his house in Seattle here! Paul Bert has a combination of traditional dealers, plus some more slightly kitsch ones that sell 50’s and 60's furniture. There is a large kitchen store in the back allies behind Serpette; prices are not cheap, but the selection is wonderful. Just think about finding a wonderful chaise longue to style up your place back home! 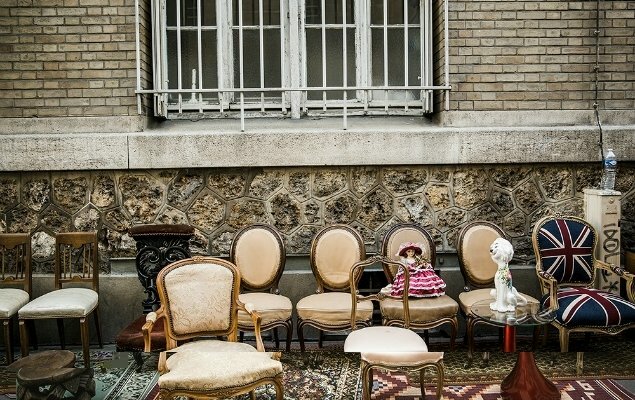 Take a look at our blog links at the end of this page to see how Madelyn has restyled some Paris Perfect apartments hunting for treasure at Paris’s Flea Markets. L'Entrepôt is next on your left and tends to sell much larger pieces, architectural pieces, staircases and marble table tops. Always worth a visit if you’re furnishing a large home. 7-9 Rue Jules Vallès is behind Paul Bert and Marché Serpette and sells antiques, small items, records, religious art. The atmosphere here is more bric-à-brac and thrift shop atmosphere. 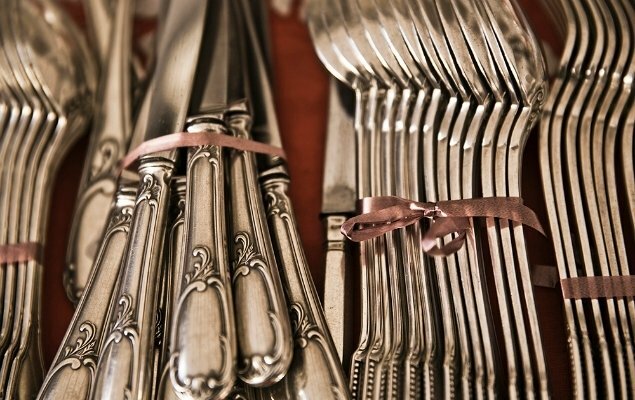 Many of the antiques for our apartments come from The Puces and we hope you find it as enjoyable as we do! 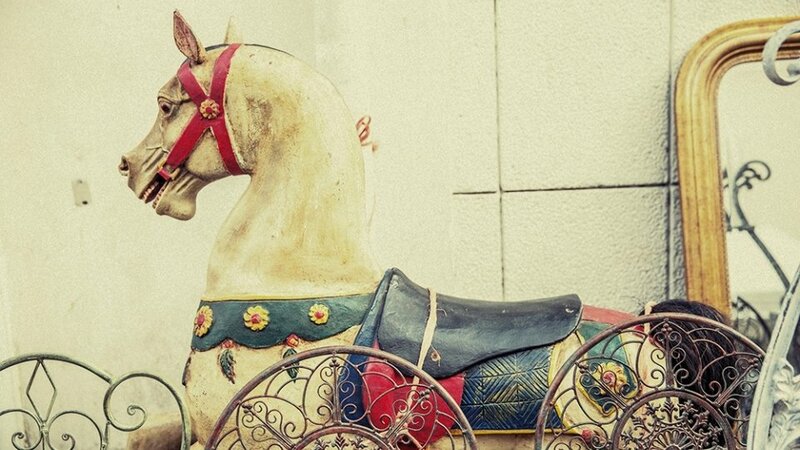 You’ll find designer vintage clothing and jewelry stores throughout all the various markets. Check out Serpette and Paul Bert first where some of the biggest specialists have shops. Biron has the most expensive vintage jewelry. Dauphine has some interesting smaller dealers and Vernaison has numerous antique clothing and linen shops. Click here for more information about our latest finds in Paris vintage clothing. Choose a central meeting point and time after you arrive there so that members of your group can wander off in different directions depending on their interests. Then you can join each other and share your discoveries and purchases. Plan to visit the Flea Market in the morning as it becomes very crowded in the afternoon. Hide your wallets under your shirt or sweaters around your neck. You don't need a lot of cash anyway, as most dealers accept credit cards. Don't bring your passports to the Flea Market or miscellaneous credit cards that you won't use: you do not need your passports to buy there, because antiques do not have VAT for the tax refund. Work in Pairs. “It helps to have someone like my husband around, who is great at saying in a loud voice that we don't need this mirror at all, it's too expensive, etc. If the dealers think they might lose the sale, it speeds up the negotiation”. 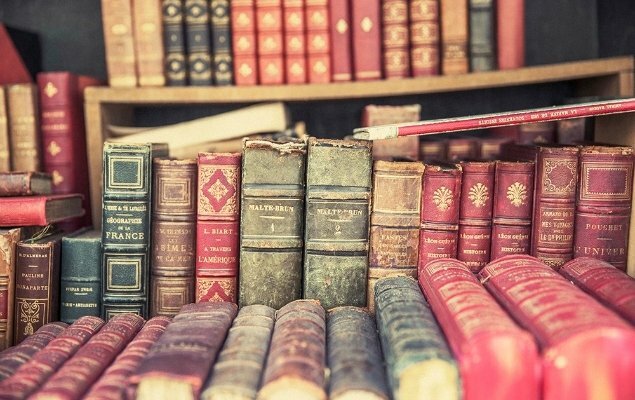 The history of the flea market dates back over two centuries, when rag and bone men scoured through the garbage of Paris at night to find valuable junk to sell on. They were called 'crocheteurs' or pickers. The romantic term was 'pêcheurs de lune' or ‘fishermen for the moon’. Many set up their temporary stalls within the Paris walls in sleazy neighborhoods, but because these districts were full of pickpockets and thieves, they were chased out of the city walls to Clignancourt, Montreuil, Vanves, etc. The largest of these flea markets is the one at Clignancourt, but the other two continue to this day. The rag and bone men gathered outside the walls of Paris at the Porte de Clignancourt and set up temporary stalls where they hawked their wares. Eventually, they formed groups of stalls to attract more customers. The more enterprising traders began to 'trade up' in terms of goods and eventually it became popular for Parisian collectors and antique dealers to shop there for bargains. In 1885, authorities in the town of Saint Ouen made a significant move to pave the streets and clean up the area, marking the official starting year of Les Puces. Several areas were designated as official market areas and a fee had to be paid to set up a stall there. The markets grew until Monsieur Romain Vernaison transformed the acres he owned into a series of covered huts; et voilà, Marché Vernaison was born. 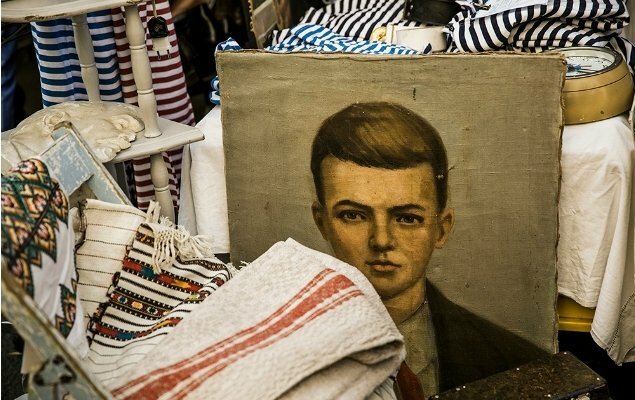 An Albanian named Malik (rumored to be a Royal Prince) subsequently bought a restaurant on Rue Jules Vallès and transformed the building into 100 stalls, forming the Malik market. The Marché du Biron was formed in 1925, with two long rows of stalls and is known as one of the more expensive markets. For more French history for the Francophiles out there, check out ‘21 Fun Historical Facts about Paris’ on our Blog here. 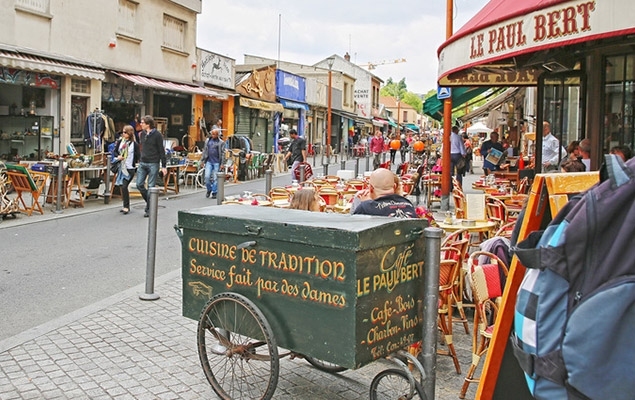 Visit one of the world’s most well-known flea markets, Marche aux Puces de Saint-Ouen with an expert vintage shopper. 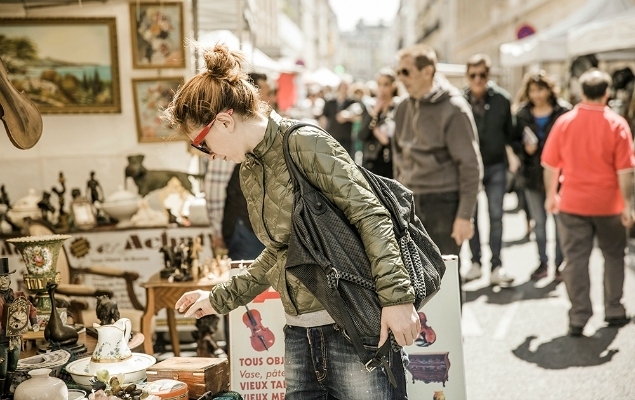 Learn the secrets of antique hunting with your guide as you visit the expansive Paris flea markets to find vintage treasures! 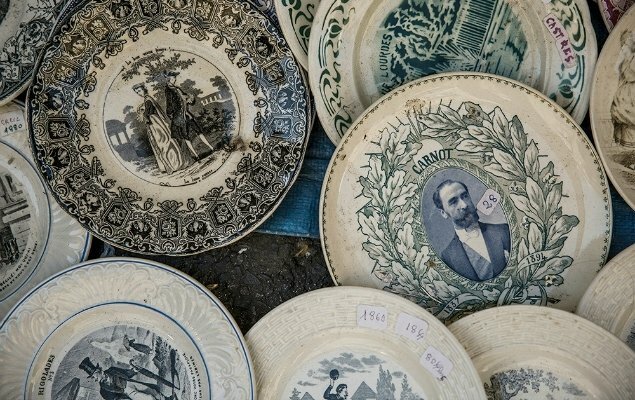 Finding Hidden Treasure at the Best Parisian Flea Markets!